McClure's can cater to any storage requirements that our customers have. We offer small storage solutions ranging from 7 cubic meters in the way of home packs, all the way up to unlimited container storage. McClure's have a storage solution for every customer and their needs. Storage in Werribee, storage in Hoppers Crossing and all throughout Melbourne! Countless 20" containers, Bay racking for the separation of couches, home packs, and best of all, a solution can be customised to accommodate individual needs. Lounge Bays with protected suites. Home Packs, compact & neat storage. 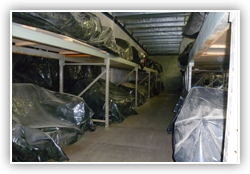 The separated lounge bays ensure that our customers valuable lounge suites are never harmed, as may happen in self storage facilities. A rolled couch can become permanently damaged in only a matter of weeks. McClure's lounge bays ensure this won’t happen, as it separates, and protects each lounge suite from all major forms of damage. 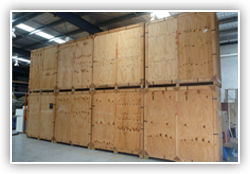 Looking for storage in Werribee or storage in Hoppers Crossing? We can help! Container storage is the current trend for the vast majority of our customers, with good reasons as well. 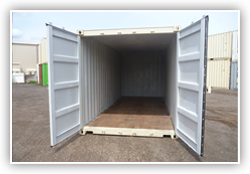 Our container storage can be a short term or long term solution, tailored for our customer’s needs. There are two options when using our storage container solutions. Either a "Self Load" container solution or a "Professionally Loaded" container solution. With a limited budget, our "Self Load" solution comes in highly appealing and affordable, saving costs and still having the flexibility of our container storage solution. However, we have found that the majority of our customers prefer to let us handle their furniture, using our "Professionally Loaded" storage solutions, where our staff load all valuables and furniture into the storage container for them. Whichever option is chosen, the best aspect of using our storage containers is in the cost savings, you are not paying removalists to unload at the end of the day, and re-load again in the future. We also offer interstate removals for those making the big move. We are proudly long standing leaders in moving and storage in Hoppers Crossing, storage in Werribee and all throughout Melbourne.